A LimbForge patient in Haiti with her prosthetic arm. Courtesy LimbForge. It’s a heady time to be involved in prosthetic technology and development—one marked by quantum leaps in research and understanding how human bodies, and brains, work. 3D printing has reduced prosthetics prototyping, customization, and production costs while advances in neuroscience have revealed tantalizing clues about how the brain processes sensations of touch, pressure, temperature, and pain. From prosthetic hands that can replicate 100 different sensations to exoskeletons that will respond to changing terrain in real time—a potential boon for patients with spinal-cord injuries—scientists have been exploring ways to make prosthetics feel and behave like the real thing. And as these assistive technologies improve, so do people’s lives. Check out these six not-to-be-missed examples of prosthetic technology from around the web. Star Wars fans will remember Luke Skywalker’s bionic hand responding to the probes of a medical robot in The Empire Strikes Back, a scene that left many viewers wondering when science fiction might become reality. Now, more than 37 years after that scene was shot, researchers at the University of Utah—using a DARPA-funded prosthetic arm named, you guessed it, the LUKE—have figured out a way to restore more than 100 sensations to amputees. By implanting a device into a person’s residual nerves, as well as electrodes placed in muscles, the researchers have created an information loop that is then transferred into signals that the brain recognizes as sensations of touch. “Eventually, we will have a prosthesis that approximates the dexterity of the human hand,” says Dr. Sliman Bensmaia, assistant professor of organismal biology and anatomy at the University of Chicago, on a Curiosity.com podcast. Getting there will require scientists gaining a deeper understanding of how the human brain processes signals—like the ones that rush to your head when you accidentally slam your fingers in the car door. “You might ask, ‘Well, it’s hard enough to control a robotic hand—why would you want to make it feel, too?’ It turns out it’s useless to control it if you can’t make it feel, also,” Bensmaia says. Learn about the tool that's helping visionaries create better prosthetics. 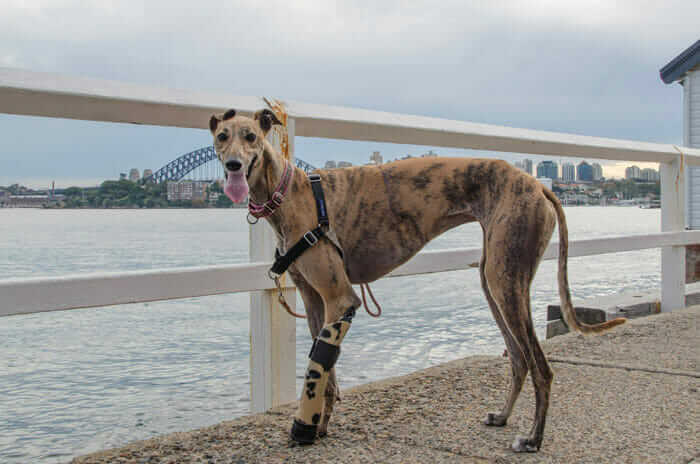 When Australian architect Ed Dieppes and his wife Nora adopted Millie, a greyhound puppy missing one of her front paws, they vowed to help her live a full and comfortable life—but after spending nearly $10,000 on prosthetic paws that kept needing to be replaced, the Dieppes knew they had to find a different solution. By using Autodesk Fusion 360 and teaming up with a 3D-printing shop in Queensland, the Dieppes were able to experiment with designs without shouldering expensive manufacturing costs. Most important, the end result has been a hit with Millie, who can now run to her heart’s content. Millie proudly models one of her prosthetic prototypes. While researchers at universities in Utah and Chicago investigate hand prosthetics and the role of touch sensation, scientists at the University of Houston have been learning more about the role the brain plays in walking. Current state-of-the-art prosthetics can’t adjust to changing terrain in real time, but researchers believe that adding brain activity into the mix will allow users better range of movement (and even the ability to play sports). “It looks so easy to walk,” says Jose Luis Contreras-Vidal, Cullen University professor of electrical and computer engineering at UH. “But the reality is different.” Contreras-Vidal predicts the findings could lead to powered exoskeletons and wheelchairs, giving people with spinal-cord injuries more freedom and a better quality of life. As anyone with children will confirm, kids grow out of their clothes so quickly that often the only way to rein in expenses is to take advantage of hand-me-downs. But what if your child needs a prosthetic limb? One father, Ben Ryan, faced this dilemma with his son Sal, so he leaned on his background as an inventor—and the power of digital design tools and 3D printing—to create limbs that can be constructed in a matter of days and at a fraction of the normal cost.